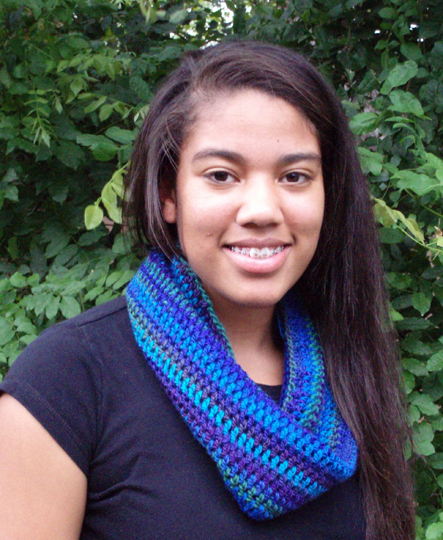 This gorgeous seamless infinity scarf is made with a hand painted merino wool blend variable thickness yarn. While some wool is itchy, the processing of this high quality merino wool leaves it wonderfully soft and customers who normally don't like wool have been very pleased with the feel of this yarn. 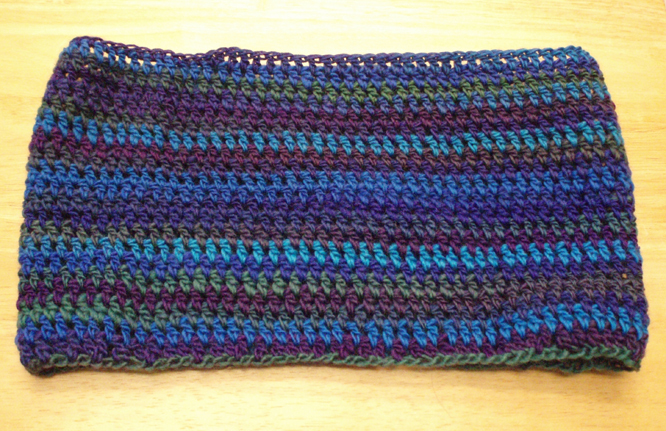 This infinity scarf is a circular seamless scarf. A 26" circumference slips easily over the head with no risk of accidentally losing a scarf that slips off.